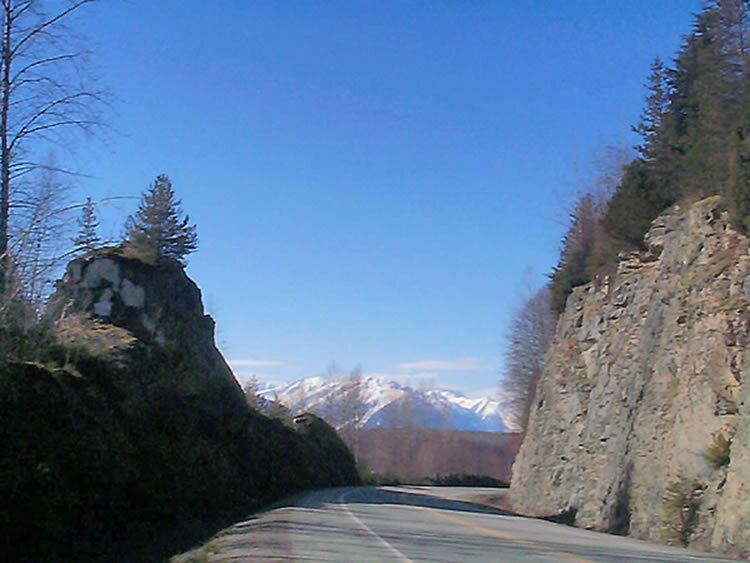 A well know turn on Highway 16 West, leaving Terrace, B.C. and going west towards Prince Rupert. This is a sign that you are embarking on one of the world's most beautiful road trips, along the Skeena River. Photo © Elaine Fleischmnann, Terrace, BC.